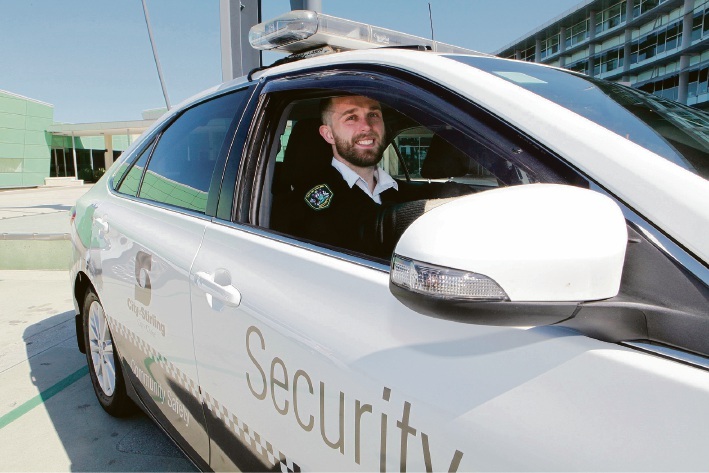 Security Officer Shaun Cheney in one of the City’s Toyota Camry Hybrid cars. Picture: Michael Gill. FUEL-efficient fleet cars have paid off for the City of Stirling and resulted in substantial cash and fuel savings. The City aims to reduce the CO2 fleet emissions to 3000 tonnes per year, a 25 per cent reduction by 2020. As of 2015-16, the fleet’s vehicles represent 15 per cent of the total carbon emissions from the City which they have managed to reduce by 11 per cent in the last three years with fuel-efficient upgrades. According to a council report, the City has saved $667,900 in fuel costs since 2013. The City is finalising a business case to assess the cots of including hybrid, electric and plug-in vehicles and completed a trial of the cars in March this year. “The Fleet Emissions Reduction Action Plan 2015-2020 set a target that fleet carbon emissions would be reduced by 25 per cent by 2020,” the council report said. Smart Riders are also available to council employees to encourage public transport use. Mayor Giovanni Italiano came under fire last year after the City purchased $65,000 luxury Mercedes Benz cars for Mayor Italiano and chief executive Stuart Jardine. At the time, Local Government Minister Tony Simpson said the purchases of the C250 and CLA250 cars with ratepayers’ money needed to be justified. A City of Stirling spokeswoman at the time said the cars were purchased because of their fuel economy, lesser fuel emissions and a better resale value.